Today is the final day to purchase this month's class to go featuring the Happy Birthday, Gorgeous stamp set, so I thought I would highlight one of the cards. This is my favorite out of the four cards, and it just might have to do with the main color of the card - Berry Burst! I go back and forth between favorite new In Colors, but this one is currently at the top of my list. If you are interested in purchasing this class to go, or this month's other offering, the Soft Sayings Card Class, please contact me today. I'll have another class to go ready for you on August 8! 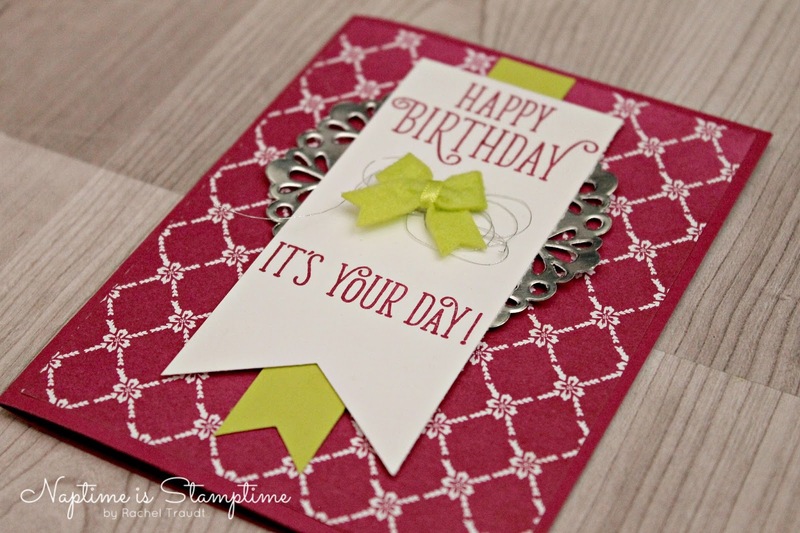 I have a beautiful card to share with you today! 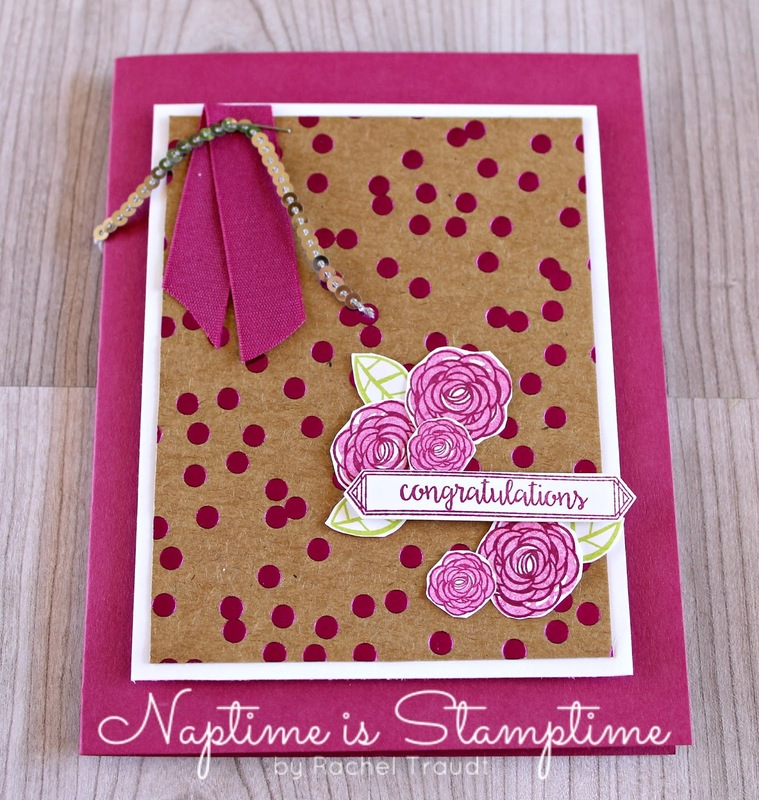 I get my inspiration from a lot of places, but this card was copied directly from our demonstrator magazine, Stampin' Success. It's a quarterly magazine, and it's packed full of project ideas and business tips. I love when it shows up in my mailbox! Pretty, right? 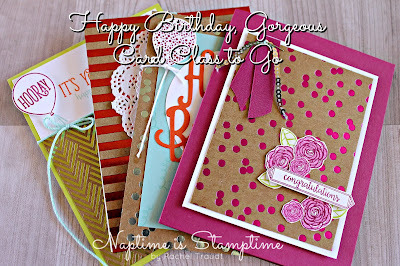 I love the new In Colors this year, and those little bow embellishments are adorable. And the best part was I didn't have to design it myself! 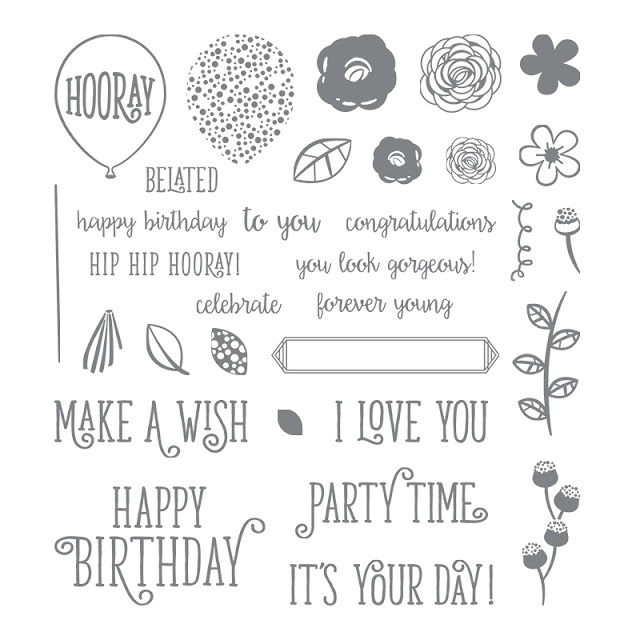 There are SO many perks to being a demonstrator, and I thought I would share some with you today, because the Starter Kit special this month is amazing! I made a short video to tell you about the Christmas in July promotion, and it includes a sneak peek of the new Carols of Christmas stamp set and Card Front Builder Thinlits from our upcoming Holiday Catalog. Thanks for taking a look! If purchasing the Starter Kit is something you are interested in, you can contact me for more information, or sign up here. I would love to have you join my team, Rachel's Naptime Stampers! 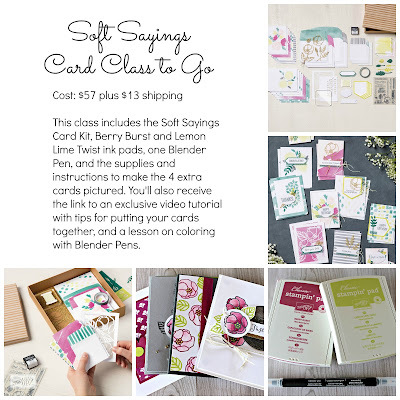 Soft Sayings Card Class: This class includes the Soft Sayings Card Kit, Berry Burst and Lemon Lime Twist ink pads, a Blender Pen, and the supplies and instructions to make four bonus cards. You will also receive a link to an exclusive video tutorial with tips on putting your cards together and a lesson in coloring with Blender Pens. The cost is $57 plus $13 shipping if you are not local. Happy Birthday, Gorgeous Card Class: This class includes the Happy Birthday, Gorgeous stamp set and the supplies and instructions to make the four cards pictured below. The cost is $34 plus $7 shipping. If you purchase both classes, you will only pay $13 shipping total. Please email me for links to purchase. The deadline is July 20.